Thankful Gleaner is a consultancy that helps business leaders better align their ethical core with their business practices and product development. They focus on life-giving ideas for loving your neighbors through successful and fruitful business by using the principle of gleaning. Translated into the 21st century, the concept of gleaning helps Thankful Gleaner's clients express their ethical core through their business for the benefit of the community. They also offer corporate chaplaincy for staff, conflict mediation for leadership teams, and a tool called Space to Think, which allows fruitful idea exchange, planning and problem solving in a non-traditional way. Byron Francis founded the nonprofit World Smart to provide study abroad opportunities to high school students from diverse backgrounds. The global economy is increasingly interconnected. Students from traditionally underserved communities are less likely than their peers to partake in the invaluable cross-cultural experience of traveling to a foreign country that can prepare one for the workforce. World Smart students raise money prior to their travels through domestic paid internships, while acquiring vital skills. Students that travel abroad are more likely to get hired after college graduation, receive a higher salary on average, and obtain a higher GPA. World Smart is committed to improving the quality of education for Chattanooga students and helping to build stronger communities. 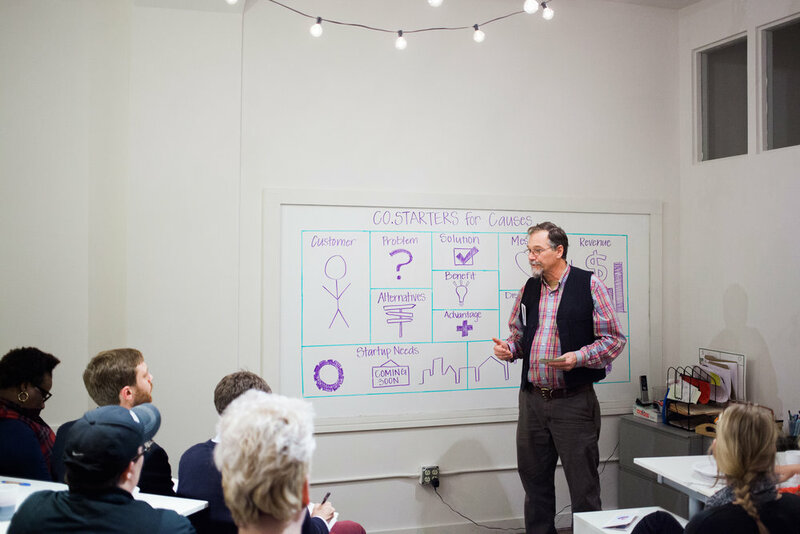 Genesis Entrepreneurs is Paul Hall's vision to aid local business leaders in areas recovering from crisis through microfinance, crowdfunding, grants, and a network of investors and industry experts. After a natural disaster, the immediate needs of a population are met through food and shelter. Following this relief stage, resources and support are often pulled before the long-term process of rebuilding an economy begins. Genesis Entrepreneurs empowers locals to rebuild their communities and initiate sustainable economic opportunities during the rehabilitation process. Heather Osteen and Latricia Schobert of Consumer Credit Counseling Services came to Co.Starters to launch a new program for the existing non-profit. The plan for the program, Cobblestone Financial, is to offer financial literacy classes and new property ownership counseling services for business, churches, and community organizations. Small businesses tend to fail within the first two years due to financial issues. Cobblestone Financial helps avoid common pitfalls to lead businesses to success. 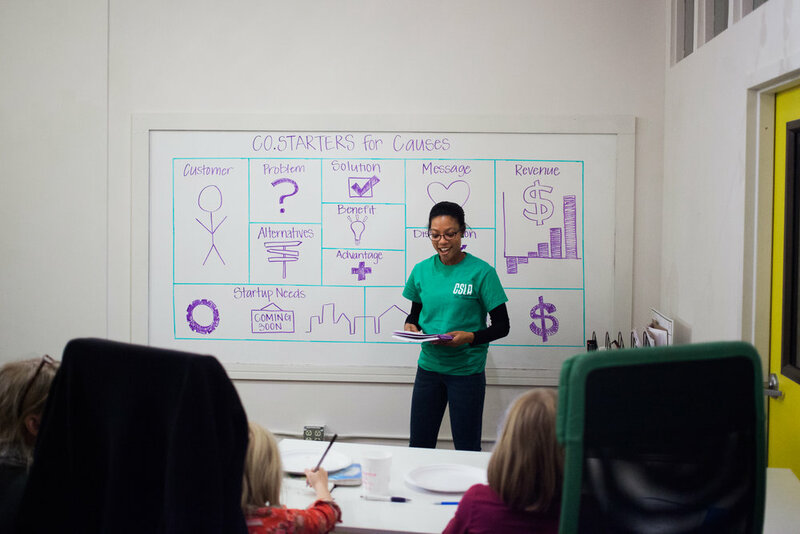 Common Cents has been educating youth in financial literacy since 2005. 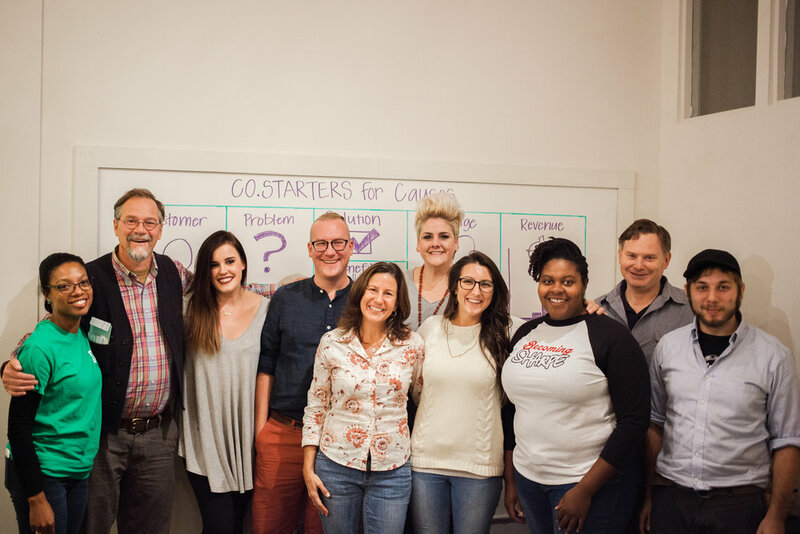 Jennifer Harper came to Co.Starters in 2015 to gain knowledge for helping this cause reach its full potential. The nonprofit partners with local schools and organizations to teach students ages 16 to 22 an interactive curriculum that promotes healthy financial habits.